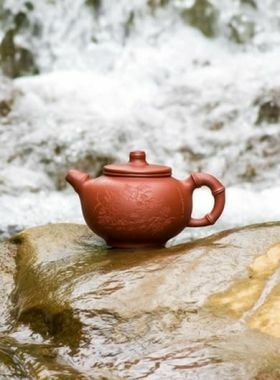 If you love using big teapots, you cannot miss this hand-made heart sutra Yixing Teapot of big capacity. 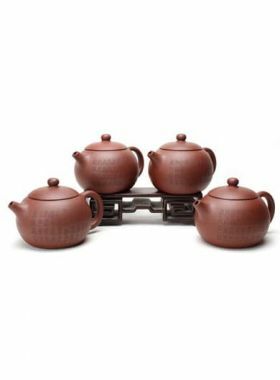 Xi Shi Yixing Zi Sha Teapot with elegant shape, natural beauty as Xi Shi (西施 the name of one of the four great beauties of ancient China) is a classic style which is the first choice for Zi Sha Teapot lovers. 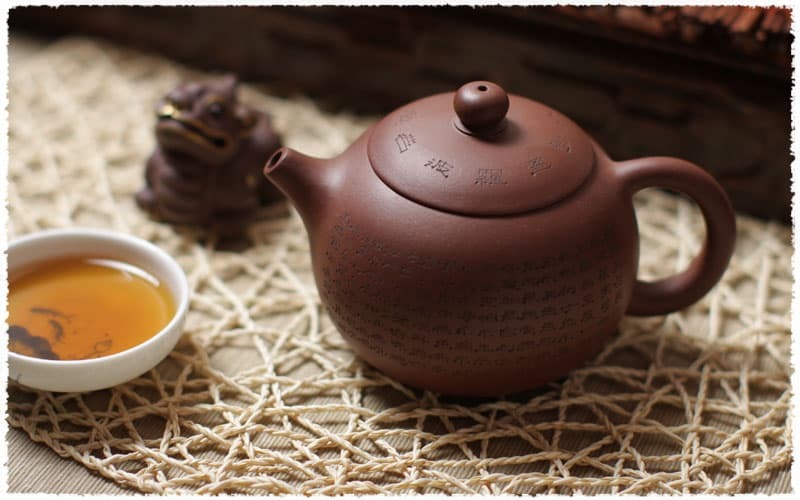 A common Chinese saying goes “In the eyes of a lover, Xi Shi appears”. This phrase means that everyone thinks his partner is as beautiful as Xi Shi, regardless of how they may appear to other people. 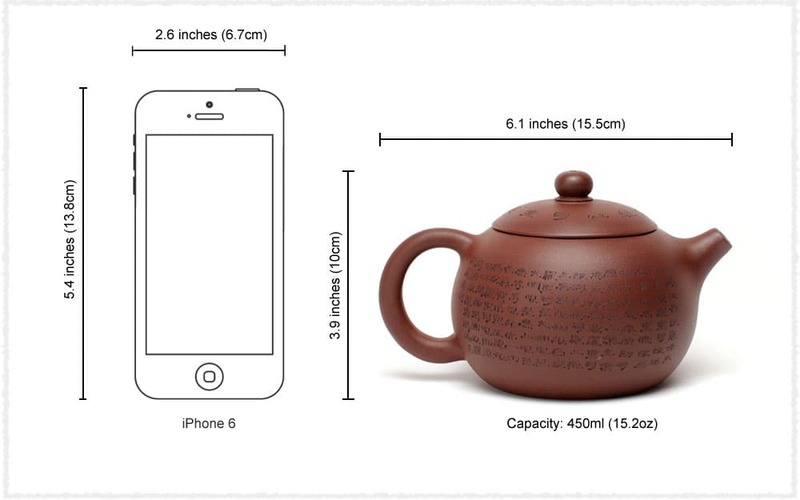 It is believable that every tea lover and Yixing Clay (Zi Sha) teapot lover has his “Xi Shi” in his heart. 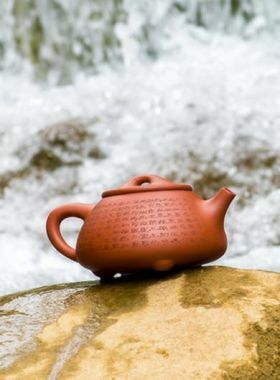 The Prajna Paramita Heart Sutra is carved around the teapot body by hand. 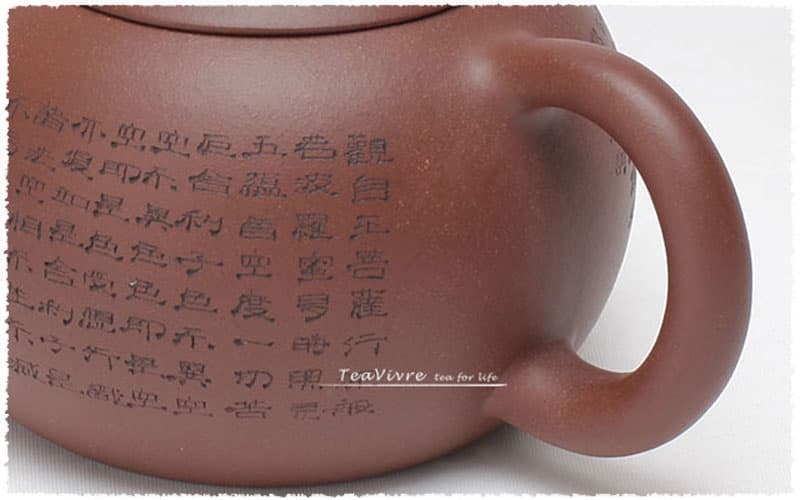 These words are very small which is very difficult for carving. 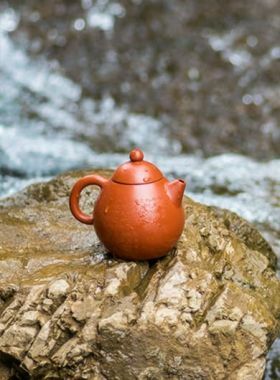 Welcome all the friends who love the Xi Shi Teapot to appreciate it. 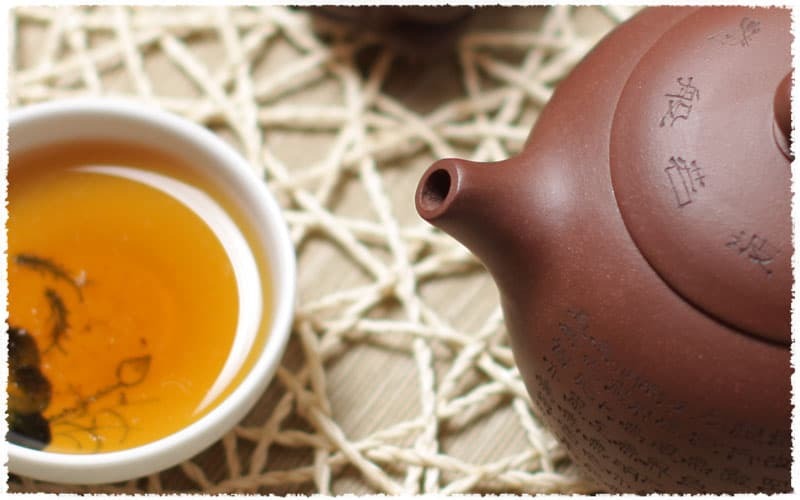 The teapot spout is exquisite with streamlined shaped. The handle is rubbed by hand and easily to hold.